Treat yourself to a sumptuous way to start the day – or grab a quick dessert to enjoy on the ferry - with a visit to the colorful, charming, and ultimately delicious Scratchmade Snackery. Located in the heart of Hatteras village and serving a wide array of baked goodies, this small but enticing bakery is quickly becoming a favorite destination for great tastes in between beach trips. The Scratchmade Snackery is impossible to miss in Hatteras village despite its small size, thanks to a colorful rose-colored exterior and a locale that’s close to the center of the community. Once visitors step inside, they’ll be treated to a fully stocked case of delicious goodies that can include everything from fresh cinnamon rolls and muffins, to homemade cupcakes, cookies, and specialties like decadent monkey bread. The fresh fare available changes daily, (and depends on the time of day), and visitors are urged to get to Scratchmade Snackery as early as possible to load up on goodies before they are sold out. 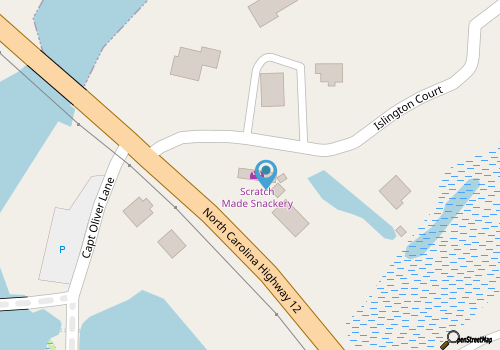 Always tempting and sumptuous, with plenty of unique bakery items to whet an appetite, the Scratchmade Snackery is the perfect destination for a sugary or savory snack to start another exciting day on the Hatteras Island shoreline. Call 252-986-0048 for current hours.